I thought his con­cern was ridicu­lous and ignored his warn­ing. About a month lat­er, I found records on Ancestry.com about William Odor, who turned out to be our most famous fam­i­ly mem­ber by far. Born in Illi­nois in 1844, he gained nation­al noto­ri­ety dur­ing the sum­mer of 1870. The sto­ry of his rise to coun­try-wide promi­nence begins in the spring, nor­mal­ly a sea­son of hope and opti­mism. 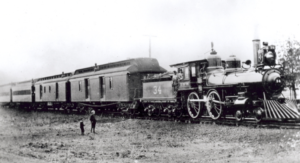 On May 12, 1870, a Mis­souri Pacif­ic Rail­road pas­sen­ger train pulled into Eure­ka, Mis­souri, before dawn. It was due to arrive in St. Louis at 6:00 a.m. A freight train left St. Louis about the same time, head­ed for Eure­ka. In those days rail­road com­pa­nies put down a sin­gle track and trains trav­eled in both direc­tions on it. When two trains were sched­uled to trav­el toward each oth­er, one of the trains was required to pull off onto side rails, which were spaced at inter­vals along the sin­gle track. Under the Mis­souri Pacif­ic rule, pas­sen­ger trains had the right of way over freight trains, and freight trains were respon­si­ble for giv­ing it to them. The dis­patch­er in St. Louis told the freight train’s con­duc­tor, William Odor, that the freight train could pro­ceed toward Eure­ka for thir­ty min­utes, but after that, it would have to give way to the pas­sen­ger train by pulling off on a side spur. The pas­sen­ger train’s engi­neer, J.P. Jack­son, eased his train out of the Eure­ka sta­tion a lit­tle after 5:00 a.m. About a mile and a half into the trip, the pas­sen­ger train entered a sharp turn, and Jack­son saw the puff­ing smoke­stack of a freight train bar­rel­ing around the bluff at full speed toward him. He hit the brakes and reversed engines. The freight train’s engi­neer, Joseph Tra­cy, tried to brake his train, too, but there was no hope of stop­ping an engine of that pow­er at that speed pulling that much weight. The engi­neers and con­duc­tors on both trains jumped free just before they col­lid­ed. The two loco­mo­tives reared up on their back wheels like wild stal­lions fight­ing one anoth­er. The impact of the crash com­pressed the pas­sen­ger train’s six cars into its loco­mo­tive like the folds of an accor­dion, shred­ding them into strips of met­al and wood. The engines then slid down an embank­ment, drag­ging the cars and pas­sen­gers with them. 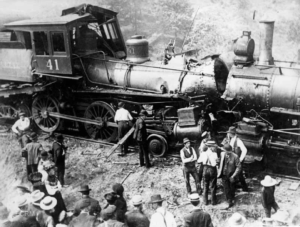 Corpses, body parts, and injured sur­vivors lit­tered the tracks and embank­ment. Nine­teen peo­ple were killed. Thir­ty were injured, eigh­teen of them with ampu­tat­ed limbs or col­lapsed inter­nal organs. Jack­son and the pas­sen­ger train’s con­duc­tor did their best to help the sur­vivors. The freight train’s engi­neer and con­duc­tor, Tra­cy and Odor, ran away. As best I can tell, Tra­cy was nev­er found. Odor was tracked down the fol­low­ing day and detained. A coroner’s inquest deter­mined that he was at fault. As the con­duc­tor of the freight train, it was his job to keep the train on sched­ule. He ignored the dispatcher’s instruc­tions that he could run no more than thir­ty min­utes before pulling over to give the right of way to the pas­sen­ger train. The freight train had been on the track 45 min­utes when it hit the pas­sen­ger train. Odor’s defense was that there must have been some­thing wrong with his watch, the pas­sen­ger train conductor’s watch, or the clock at the St. Louis sta­tion. The coroner’s jury didn’t buy it. They found him cul­pa­ble; the pros­e­cu­tor indict­ed him for mul­ti­ple counts of manslaugh­ter; and the court jailed him pend­ing tri­al. Mer­ci­ful­ly for me and William Odor’s oth­er descen­dants, the press grew weary of the train wreck by the end of the sum­mer and his ignominy fad­ed into the mist of his­to­ry. I could find no records about the rest of his life. I don’t even know what hap­pened to him in the crim­i­nal pro­ceed­ings, but giv­en the noto­ri­ety of the case and the num­ber of deaths and injuries, it’s like­ly he served a long stretch in a Mis­souri prison. For years I searched for some coun­ter­bal­anc­ing hero­ic ances­tor in the fam­i­ly tree. One guy was a fifth cousin of Daniel Boone, but if you do much ances­try research, you’ll find that almost every­one alive today in the Unit­ed States can claim some dis­tant con­nec­tion to the famous pio­neer, the rea­son being that almost every mem­ber of the Boone fam­i­ly spawned ten to twen­ty kids. 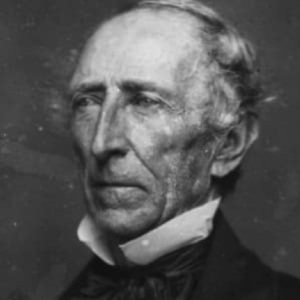 Oth­er than that, all I could dig up was a third cousin twice removed from Pres­i­dent John Tyler’s sec­ond wife. Tyler was William Hen­ry Harrison’s Vice Pres­i­dent. When Har­ri­son died of pneu­mo­nia, Tyler became the tenth Pres­i­dent of the Unit­ed States. He was wild­ly unpop­u­lar. The first impeach­ment res­o­lu­tion ever intro­duced in Con­gress against a Pres­i­dent was aimed at him. His own par­ty, the Whigs, reject­ed him when he tried to run for reelec­tion, and most his­to­ri­ans rank him along­side James Buchanan and Mil­lard Fill­more as a bot­tom-feed­er among U.S. Pres­i­dents. So my family’s only pathet­ic shot at genealog­i­cal redemp­tion for William Odor’s Mis­souri slaugh­ter is a ten­u­ous con­nec­tion to one of the crap­pi­est pres­i­dents who ever lived. But that’s not the worst of it. I made the mis­take of research­ing my wife’s fam­i­ly his­to­ry, too. 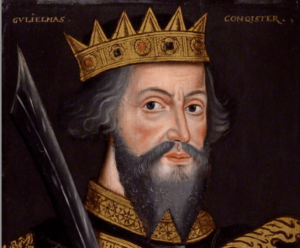 One of her branch­es goes back to William the Con­queror. Her ances­tor took care of William’s hors­es on the bat­tle­field. Her tree has roy­al Plan­ta­genet fam­i­ly Eng­lish lords and ladies hang­ing all over it. One of her fore­fa­thers, nine gen­er­a­tions back, was the brains behind the Vir­ginia Com­pa­ny which financed and found­ed the Jamestown Colony. Anoth­er one was an ear­ly Jamestown set­tler, a big hero who fought off scores of Powhatan war­riors dur­ing the Indi­an Mas­sacre of 1622 that wiped out more than half the colonists. There’s an island on the James Riv­er near Rich­mond named after that branch of her fam­i­ly. There’s more, but I don’t want to talk about it. For the half-cen­tu­ry we’ve been mar­ried, most every­one who knows my wife and me has seen fit to remark soon­er or lat­er that I mar­ried up. To main­tain mar­i­tal bliss, I’ve kept my mouth shut over the many years, while secret­ly telling myself they were wrong. I should have lis­tened to my nephew. Post Script: Maybe there’s still hope. 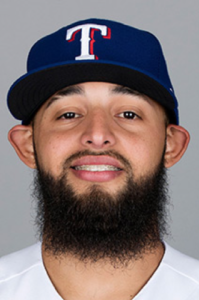 I just found out there’s a Venezue­lan named Rougned Odor, who plays sec­ond base for the Texas Rangers. I can’t pro­nounce his first name and he’s only bat­ting .250, but hey, he’s in their start­ing line­up. There’s def­i­nite­ly a fam­i­ly resem­blance between us, don’t you think? The ears are a match for sure. Ken I lost my mater­nal grand­fa­ther in an acci­dent in 1917 when my mom was 4. He was 25 and a brake­man. Some­how he got a cin­der in his eye. The eye got infect­ed and not being treat­ed cost him. No Work­ers comp no OSHA., no death ben­e­fits. Mom and her mom were very poor and moved from rel­a­tive to rel­a­tive to sur­vive. Thank good­ness we are much improved. Look­ing for­ward to your new book. Hi, Ter­ry. Health and safe­ty rules for the rail­road were non-exis­tent until the 40’s, from what I could find out. No ben­e­fits of any kind for rail­road work­ers and run­ning trains in both direc­tions on a sin­gle track tells us all we need to know about their safe­ty con­cerns. Great to hear from you again. Thanks, Susan! New book should be out before the end of the year. Dear Ken. Geneal­o­gy may not be your thing. I per­son­al­ly have got­ten more plea­sure from quilt­ing. Ha ha! Maybe I should take up quilt­ing, then. Bob­bye told me the very fun­ny sto­ry of her for­ay into genealog­i­cal research. About as suc­cess­ful as mine! Love your writ­ing, Ken..... no mat­ter the sub­ject. I sus­pect some­where way back you are relat­ed to a great writer, at the very least. Thanks, Cathy. I don’t know about being relat­ed to a writer, but I def­i­nite­ly inher­it­ed William’s flaw of not pay­ing close atten­tion to time dead­lines! Thanks, Bon­nie. You’re close to the site of the great train wreck! As usu­al, a very inter­est­ing sto­ry. As you say, you nev­er know what lurks in an ances­tral search. One of my grand­fa­thers was a brake­man on the rail­road in the ear­ly part of the 20th cen­tu­ry on what is now the CSX rail­road. He died as a result of an injury suf­fered in the big rail yard in Rich­mond in 1917. Rail­road work was extreme­ly dan­ger­ous in the ear­ly years. Thanks, Randy! 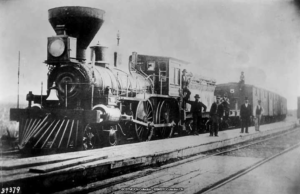 Rail­roads were def­i­nite­ly dan­ger­ous. Safe­ty rules were lax. Run­ning trains in oppo­site direc­tions on a sin­gle track was a bad idea!